Signal flow - this refers to the pathway from your recording source (ie; a microphone or guitar to name a couple of examples), and everything the signal flows through on its way to the computer for recording and your speakers or headphones for output. 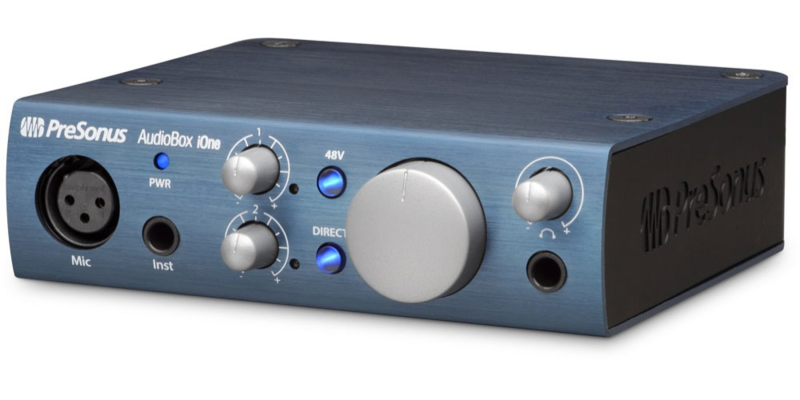 Audio Interface – This is the device that you connect to your Mac or PC, usually via a USB cable, which can take microphone or guitar input and has a tiny amplifier on board called a ‘preamp’. The preamp has what is called an input gain control resembling a volume knob on the outside of Audio Interface. The input gain control allows you to boost the microphone or guitar’s input level up to a suitable strength for recording. Digital Audio Workstation (DAW) – This is the term used to describe audio/MIDI recording software that is used during the recording process. 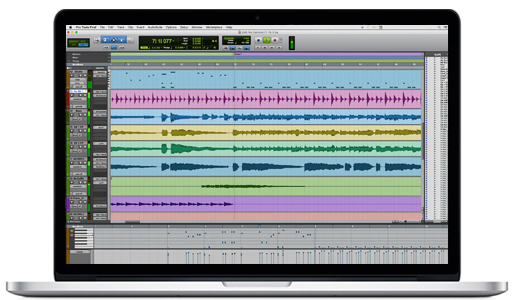 The image to the left shows a Mac Laptop running Avid's Pro-Tools software. Dynamic vs Condenser microphones - Dynamic mics are generally tougher and less sensitive than condenser mics. This means that you normally use a dynamic microphone very close to the sound source. Dynamic mics can usually handle very high volume sound sources without distorting the signal, like guitar amps, snare drums and loud rock vocalists. 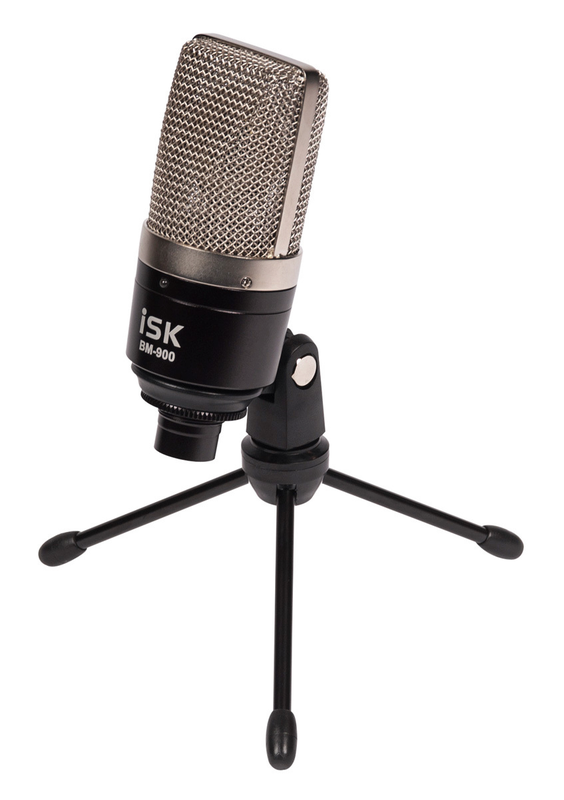 Condenser mics by comparison are much more sensitive, which this makes them more suitable for acoustic instruments, and various studio recording applications where dynamic mics don’t pick up the full frequency range required. Unlike Dynamic microphones which generate their low voltage output signal all by themselves, condenser mics require what is known as ‘phantom power’, which is a 48v power source supplied from the Audio Interface to the Microphone via the mic cable. Some will have batteries to accommodate this too, but you should always check the 48v power switch on your audio interface is switched on if you’re not getting any signal from your microphone. 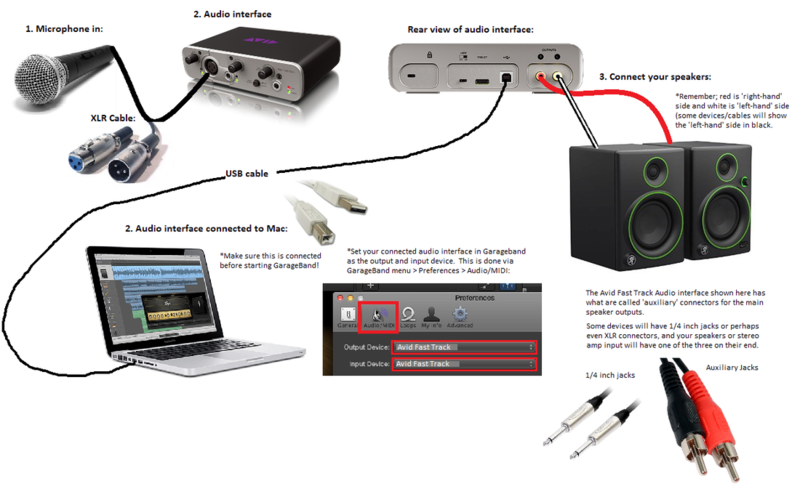 Some audio interfaces will have the switch/button for this on the front, and some on the back. Direct Input Monitoring – Most good audio interfaces will have a ‘direct monitor’ switch or button on the front panel. This allows you to hear the input source from the microphone or guitar etc, going directly into your headphones or speakers connected to the audio interface, instead of hearing it after it has run through the computer and been processed by the Digital Audio Workstation software you’re using. This is useful so you can hear the signal without any delay through headphones in particular, which allows you to play more tightly to a metronome. Running the signal through the DAW software takes time to process, so sometimes the delay caused by this is noticeable and distracting when you’re trying to play/sing and record in real time. Once you understand the above items, you’re well on the way. The signal flow chart below visualises this with a simple pathway from a dynamic vocal Mic into an Avid audio interface, then going via USB into Apple’s GarageBand software running on a MacBook, and finally being sent out the speakers.